You know I love making banana muffins, but lately I’ve found it easier to make this banana bread. It comes out great and makes for a wonderful breakfast treat. 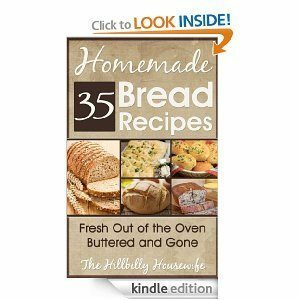 This is one of 35 recipes in my latest Kindle cookbook 35 Homemade Bread Recipes. I think you’ll enjoy the simple recipes in this book. They are a wonderful addition to the breakfast and dinner table. While preheating oven to 350 degrees, lightly grease an 8×4 inch loaf pan. In a large bowl, mix together the bananas, sugar, butter, flour, baking soda, salt, eggs, milk and vanilla. Pour the batter into the greased pan. 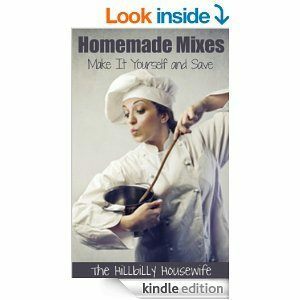 Don’t forget to grab 35 Homemade Bread Recipes for your Kindle or other device with a Kindle App. There’s nothing more scrumptious than a warm piece of homemade bread fresh out of the oven. And with these 35 recipes, you’ll have more than just the basic bread to delight your taste buds. From chocolate chip pumpkin to banana to potato, there’s a wide variety of flavorful recipes to choose from.